Send a Thanksgiving Card to Volunteers | it takes two, inc.
We try to let our volunteers know every day how very much they are appreciated. Thanksgiving, though, is an especially fitting time to warm their hearts with a message of thanks. 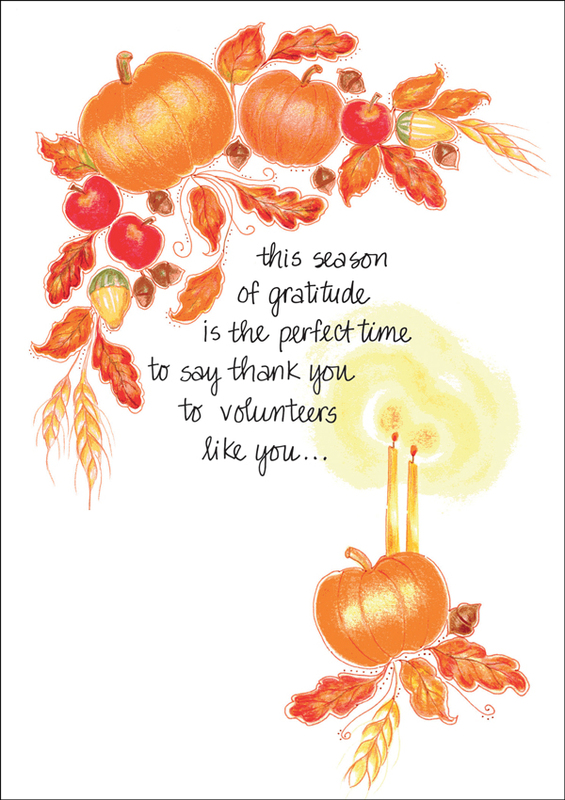 Thanksgiving is just around the corner, so order greeting cards to thank your volunteers today. 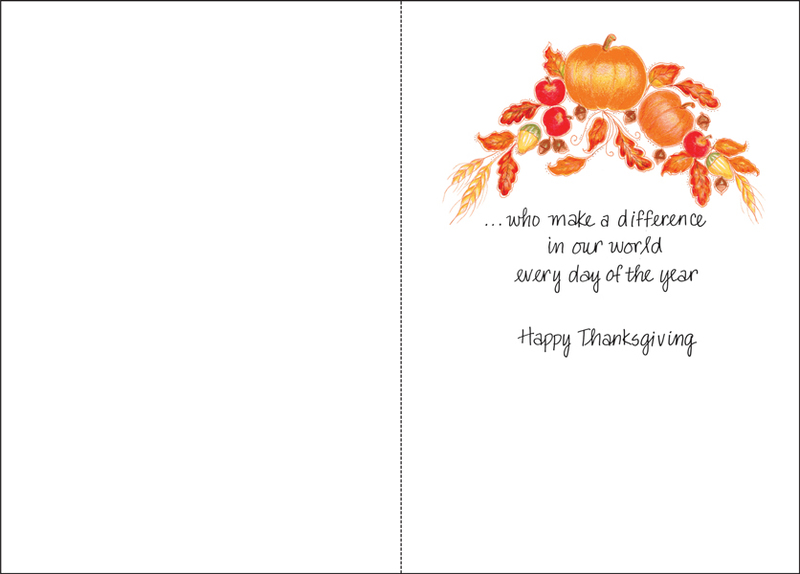 Product Details: Package of one dozen 5 x 7 Thanksgiving cards for volunteers and one dozen color-coordinated envelopes.